Could this be the start of "Wisconsin-made feta-style white cheese product"? 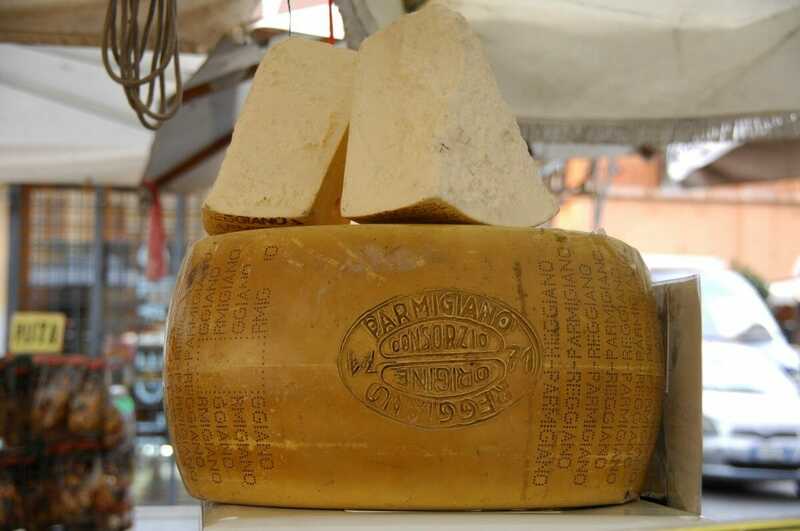 Pictured: not a Wisconsin parmigiano. Now, there’s a movement to bring the same sort of naming rules to cheese. There are various labels denoting what can generally be referred to as “protected designation of origin,” or PDO, products. Individual countries have their own, sometimes multiple ones for different products or different degrees of protection, all monitored by various agencies. Cheese is no exception; there are almost 200 such protected cheeses in the European Union, ranging from Romanian telemea de ibÄƒneŠŸti to Spanish manchego. The United States is not currently under any obligation to obey the European rules; there would have to be some kind of trade deal in order for these labeling rules to apply to the U.S.. But there isn’t right now, so cheesemakers from the states are free to label their cheeses as feta (protected by Greece), parmesan (both this word and parmigiano-reggiano are protected terms in Europe), camembert (protected by France), and any other name they wish. This has long been infuriating to European cheesemakers, who view the American versions as insulting imitations. Having had no luck negotiating with the Americans, the EU, according to Dairy Reporter, recently tried something new: negotiating with Mexico. The EU’s plan involves lowering tariffs on European cheese exports to Mexico, with the added wrinkle that cheeses sold there would be subject to EU PDO regulations, which would force American cheesemakers to relabel any affected cheeses they wish to sell in Mexico.